CHARLOTTE AMALIE — The U.S. Department of Health and Human Services has awarded grants totaling $1.26 million to support the Frederiksted Health Care Center on St. Croix and the East End Medical Center on St. Thomas. 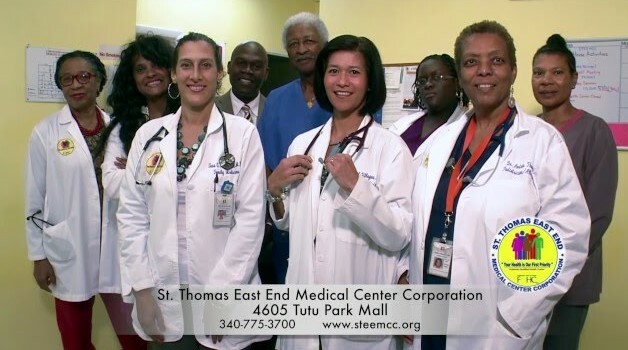 The Frederiksted clinic will receive $674,800 and the East End Medical Center has been awarded $589,927. Governor Kenneth Mapp said that he has been working closely with the White House, federal officials and members of Congress over the past year in support of the Territory’s requests arising from the massive devastation caused by last year’s storms. The Capital Assistance for Hurricane Response and Recovery Efforts (CARE) grants will support alteration, renovation, and equipment costs to assist the health centers with their disaster response and recovery. The funding was made available in the disaster relief package in the Bipartisan Budget Act, which was signed into law in February, and is part of the $8.5 billion in federal disaster funding allocated to the territory. Mapp said that he thanked Health and Human Services Secretary Alex Azar II, and Health Resources and Services Administration Administrator George Sigounas for the grants. “These clinics perform important work and this funding is the latest in the Trump Administration’s efforts to support the Virgin Islands and our citizens as we continue to recover from Hurricanes Irma and Maria,” Mapp said. Why is mapp such a damn liar. He always tries to take credit for the generosity of the Federal government. Acting like they gave that money because of him. Give me a break.